They put rice in bamboo sticks, added water, plugged it up with banana leaf and cooked it on a fire. That is pretty cool isn’t it! On the subject of TV, there is a show on BBC2 called The Restaurant man which I am really enjoying at the moment, with my girlfriend. The restaurant man helps people who are about to open a restaurant with varying degrees of success. One was a burger joint which was hugely successful. Another episode was an Italian which hadn’t even opened its doors by the time the TV show finished. I think it explains bits and bobs about owning a restaurant too, like have a business plan (obvious) and work out the menu (obvious) but they don’t! Food, I enjoy cakes. I enjoy lemons. This dessert brings both of them together and makes a perfect match in harmony. Add the finely grated zest of the lemons and mix until well combined. Spoon in the mixture and level the top with a spoon. Bake for 45-50 mins, until a thin skewer inserted into the centre of the cake comes out clean. 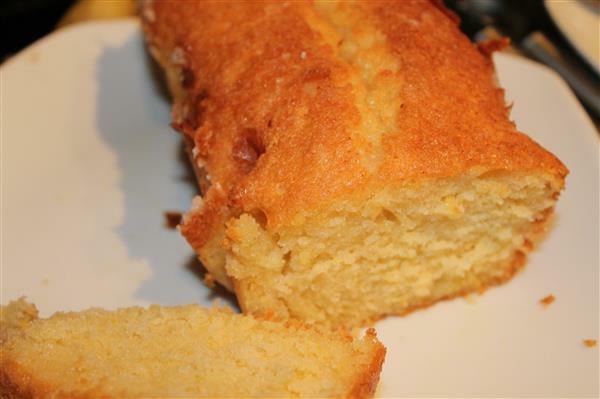 While the cake is cooling in its tin, mix together the juice of the lemons lemons and 85g caster sugar to make the drizzle. Prick the warm cake all over with a skewer or fork. Previous Previous post: Celebrations, Fish in a Tie and Salmon Roulade.